CSD Brass is pleased to announce our latest concert, where we will be joined by concert pianist Philip Mead in a performance of Martin Ellerby’s Cabaret Concerto. Also included in the programme will be pieces by Peter Graham and Rodney Newton, and other selections from the classic brass band repertoire. Tickets are £7.50 in advance (book online here) or £8 on the door (under 16 free). 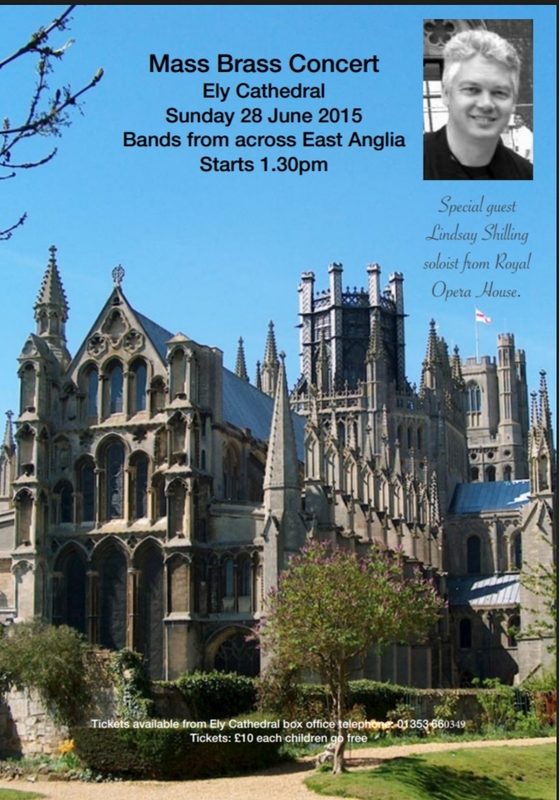 Members of CSD Brass will be joining numerous other bands across the region to play at a concert at Ely cathedral on Sunday 28th June at 1.30. Find out more from the cathedral website. 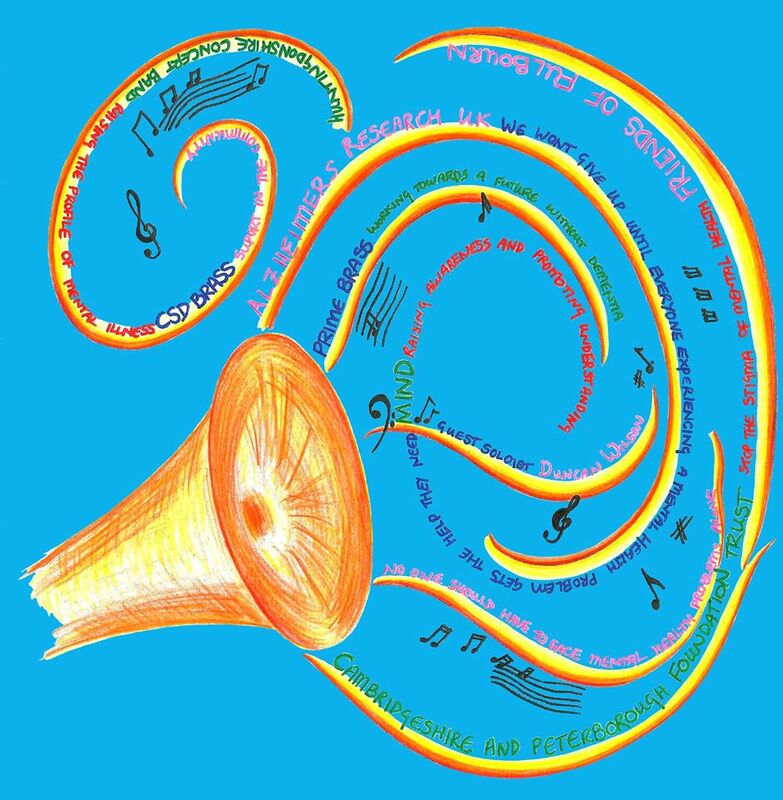 Mindblowing is an evening of fabulous wind music being held to raise money for local mental health charities. The evening will include performances from CSD Brass, Prime Brass and the Huntingdonshire Concert Band. They will be joined on stage by our guest soloist, Duncan Wilson, who is an internationally acclaimed trombonist having played with many of the worlds best orchestras including the London Symphony and Royal Philharmonic orchestras. He has also maintained his brass band links and was British Open solo trombone champion in 2004 and 2005 whilst playing with the GUS band.